Praise God! I am excited to announce, my wife got approval from MoM for her biz venture – ThomasEcafe.com in Singapore. She registered for Sole Proprietorship with ACRA on 5th July 2012, requested approval from MoM on 7th July, and received confirmation on 30th July. Request for SingPass if you don’t have one. Register your business with ACRA and pay the $65 fee. Contact MoM to email you the LOC for self-employment. In the LOC, in the “Financial and Other Information” section for the employer, you can put Zero for Paid-up Capital. In the Salary details, you can put 1000 SGD or any reasonable amount you’re expecting to earn. In the Declaration by Employer section, you can put your own name and designation if you registered the biz. In the official stamp, you can put N/A if you don’t have biz stamp (as per the feedback by Prafulla in my comment list, it’s mandatory to have a biz stamp). G. Letter of Consent from MoM. Mail documents to MOM and expect approval in 3-4 weeks. Get the owner register your details on the HDB website. Go to the HDB branch office and fill out the Home Office Declaration Form and the Home Office Application form. The Home office declaration form needs owner’s signature and NRIC number. Pay 20 SGD administration fee for Home Office application. To renew your business after expiry, you need to pay the Biz registration fee with ACRA and submit only the Letter of Consent to MoM. http://forum.singaporeexpats.com/ftopic75000-0-asc-0.html. You will get a lot of good information about people who have shared their experience. 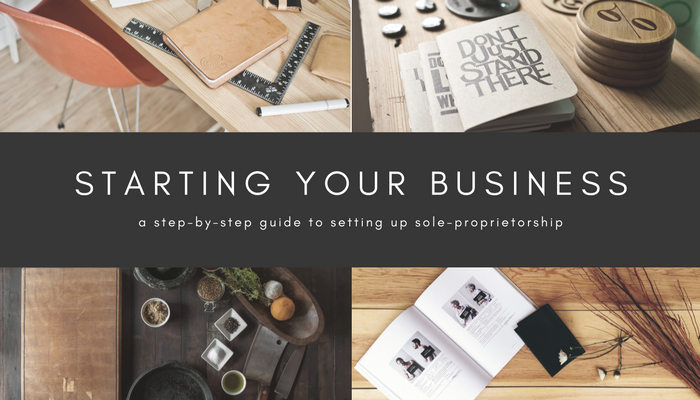 If you got any questions, feel free to email me at abeesh@thomasabeesh.com and join https://www.facebook.com/SoleProprietorsSingapore to connect with Sole Proprietors. Continuing our story, my wife had to go back India in August 2017. To continue her business, we appointed a Singapore PR as authorised representative of her biz. The ACRA site had to be updated with the new address, renew biz that got expired, change of identity type from FIN to Passport, an addition of authorised representative, change of biz address. Since her FIN was no longer valid, we took the help of a Company Secretarial Service Provider to perform these tasks. After my wife was back in SG, she applied for LOC approval, through a manpower consultancy, to work in her own biz registered in SG. It was approved in a week or two. Praise God!! This entry was posted in Entrepreneurship and tagged Entrepreneur, Sole Proprietorship. Bookmark the permalink. Thank you so much for this, I’ve been trying to set up a sole proprietorship holding a DP for weeks and this is the most useful post I’ve found. Thanks!!! Hello there..I came to the same problem I think Rajiv above has. MOM says a DP holder “CAN” register a Sole Proprietorship with ACRA but “CANNOT” work without converting DP to an eligible pass, this case “EntrePass”. MOM also says a DP holder “CANNOT” self-employ yourself as a DP is not allowed to work. Any DP holders wish to start a sole-proprietorship in Singapore must apply for EntrePass. What is the reason EntrePass is not applicable to your case as you stated at Step 4. D in your article? Please advice me on this… I would like it very much that if I can start my business without EntrePass. Entrepass is needed only if you’re starting a company otherwise DP can register a sole proprietorship and they can be self employed by submitting LOC to MoM. Hi Abeesh Thomas – you are a legend, thank you SO much for posting this. I have my application and documents prepared and ready to send off bar for one tiny detail: the LOC form asks for a Unique Entity Number (UEN). What is this? I only have the ACRA Registration Number from the BizFile filing. Is this the same? Don’t want to fill in the form incomplete! That’s terrific thanks so much. In the post today. Fingers crossed! Thanks a lot for putting together this information. I received LOC for my sole proprietorship today! Hi – great info, thank you so much! Was just the clarity I needed. May I ask, what did you write for D. Reason why EntrePass is not applicable? Hi my wife is trying to file a SP with a DP (off my PEP). She has ACRA certification already am I understanding this clearly that she does not need an entrepass? What reason do you put for it not being applicable? How long did it take you to hear back from MOM? Entrepass is needed if you’re starting a company. Since you’re filing for SP, you don’t need Entrepass. For approval from MOM, it took 3-4 weeks. 1. What do I put as occupation in section 4D of the LOC. I am trying to set up a sole proprietorship to sell customized stationery products in Singapore. 2. What is a reasonable salary estimate? 3. Can I use my home address as the place where duties for business will be performed? 4. Do you need to submit a resume and degrees with the application to MOM to get the LOC? 2. Any amount, for example 1000 SGD. 3. Yes you can use your home address. You will need to apply for Home Office License Scheme and pay 20 SGD as fee. 4. You don’t need to submit resume and degree certificate to get the LOC approval. How long is a reasonable estimate for duration of LOC. I know the max is 5 years but read somewhere that you need to renew your LOC every 12 months. If your LOC is approved for 1 year, then you need to apply for renewal after 1 year. It depends on the duration you got the approval. Thank you for the most useful post. It’s been such a great help. If you don’t mind me asking though, where can I find the required documents you mentioned on step 4 in your post? I can’t seem to find this on MOM website (I have downloaded the LoC form myself). Thank you in advance. You can obtain ACRA Biz profile after registering with ACRA and paying 5 SGD I believe. Rest of the documents – B to F, you can create in MS Word, writing a brief para for each. Thanks for your comments. To the best of my knowledge, as a dependent pass holder you cannot do both. When you do biz, you are basically self employed. You can submit only a single LoC. Love all your replies and looks like its never ending…Thx anyways. How do I apply for Home Office License Scheme and pay 20 SGD as fee ? Thanks Yamuna, you can go to the HDB branch office in your area, and fill up HDB Home Office Scheme form. After filling up, you can pay the money there itself. It takes just 15 minutes for the whole process. You will need the House Owner signature on the form if you’re renting. I am personal trainer and want to register a sole proprietorship.I am on a DP and stay in a rented condo. 1> Can I put my present address, my owner doesn’t mind as I won’t be doing any work at home. Do I need some documents for this? 2> What is the business registration Act Cap 32…. In ACRA, I came across this act which I cannot understand much. I need to accept this before registering with ACRA. Just want to know if there are any loopholes or its pretty straight forward as mentioned in your post. For your second query, you can refer to the steps I mentioned in my post to register your biz with ACRA. Thanks for your very helpful write-up! We were worried this would be impossible, but you have given us hope. Regarding section 4D of the LoC form, do you have any thoughts on what to do if the business will be doing home calls and locum (temp) work? In this case there is no fixed “address where applicant’s duties are to be performed”. Has anyone managed to successfully obtain the approval after Abeesh? I was curious since there were a few contradictions early on. Thanks a lot to Abeesh to listing down everything lucidly. Can you share on how much time MOM took to approve the LOC ? We already have applied about 4 weeks back but no updates till now. So fingers crossed.. wondering if delayed response is a negative signal.. It was done within 3 weeks . Hi, I have registered for sole proprietorship through Bizfile for 2 business activities in single application(online). Now in the LOC form, in section 4D- Can I include both the business in that section or should I keep a seperate LOC form? Bit confused. Both the business are of different field. One is face Painting artist for parties and other one is relief teaching assistant. Please help. Thanks very much in advance. Have a nice day ahead. Since it’s a single application, i think you can mention both the biz activities in a single LOC. Great.. thanks in tonnes for your prompt reply. Appreciate your help Mr Abeesh Thomas. Dear Mr Abeesh Thomas, Very sad to say my LOC application is not successful. Don’t know the valid reason,it does not say anything in the letter. After applying, a week later received a call from a lady , that there is no category available for my business(in my case it is face painting artist for kids party). So she advised me to choose Artist. I agreed to it. Do you think that choosen category is wrong one? Please type in you feedback about this. Please advice what else I can do to start..Thanks a lot in advance. You can submit a new application with the category as Artist. Send out the required documents I listed in step 4. Many thanks for your reply. But is it advisable to re-apply with in the same category, in my case its ‘Artist’? other option I found is Artist(painter). any option to appeal? Today I tried calling MOM, no option to discuss regarding application. Is it allowed to re-apply immediately or should I wait for few days or month? Thank you a lot for your service.Thanks again. Check some expat forums like http://forum.singaporeexpats.com/ftopic77467.html about the LoC rejection. There is no criteria to wait for days or months. If possible, try to visit MoM and get to know the reason. Dear Mr Abeesh Thomas, Can we apply LOC online? One very basic Q… Sorry if answered by someone already..
Where and how to submit the form and relevant documents ? Is it through EP Online only Or they can be sent via Post also to MOM… If by post, then which address ? Aha.. Great and thanks for the prompt reply .. Normally one come to know if LOC is approved..
Is it sent by post.. ? or a mail is sent by MOM ? or one needs to check online for the status… ? Hi Praveen, Yes you will receive the approval letter to your house address. Thank you for posting such relevant information and it is great of you to reply to everyones requests. I have just received a rejection from MOM for my LoC after (following the steps), and they are advising I must apply for entrepass also. I have responded that I understand it is not relevant in my case as I’m a dependant pass holder planning to be self employed as a leadership development consultant and that the LoC is the appropriate approval. They do not agree so we are in a stalemate! I already have clients lined up but am powerless to take on the work without approval. Very frustrating. Does anyone have any ideas? Did you mention that you need EntrePass if you’re starting a company. For sole proprietorship, you need only LOC? Thanks Abeesh. Yes, I did mention the distinction between starting a company and the Sole prop and they still said I needed entrepass. It will be great if somebody in the Comments list can share their recent experience. Click reply to continue this thread. Being on a DP, you cannot have a pte ltd. You will need EntrePass. How much time they took to reject LOC ? 1: I made my company rubber stamp…as I read in somewhere that its mandatory now and their LOC got rejected because of that. It’s quite an easy task and I did not want to take a chance. Thanks once again for all the help! God bless! Hearty Congratulations..Happy to hear about your approval and appreciate your feedback. Can I know how to get this Company stamp done? POossible to get it done online? Not sure about online services. But its quite easy to get it done. Just google for a rubber stamp maker nearest to your place. All they need is your ACRA registration number and company name, and you can get your company stamp ready in a day or two. Some nominal charges, depending on how you want it done. Hi Mary! So sorry I did not see this message till today!! Hopefully your query is answered by now. Mine has just the company name and registration number. regards. Thanks Thomas for your guidance, we have been able to successfully register our company. Appreciate all your help and support. Thank you so much for the information. I plan to setup a sole proprietorship for an online business. The MOM website states that you need to employ a local manager to work under you. Can this be a person who is on EP? Any further info on this? Can I put my own name? If you’re on a DP and residing in Singapore, you don’t need to have a local manager to setup Sole Proprietorship. Under the Position Held on page 2 or the ACRA application, it asks if Owner, Manager or Owner_Manager. I guess we should put Owner+Manager for a SP? Hi Abeesh, Thanks so much for this website it’s proved a real help in trying to negotiate the best solution for me as a freelance editor/writer. I have set up a sole proprietary company and I am now in the process of completing the LOC. The one question I have relates to part 4D section two which asks if I am supplying labor to other business entities. As I may be required to go to client’s offices to complete work for them does that count? Obviously isn’t the fact that I am being hired by a company automatically mean I am supplementing their manpower services? I am tempted to just say no as the majority of my work will be from home but I obviously don’t want to run into problems in the future. Has anyone else had experience of this? Thanks again for your site it’s really invaluable and much appreciated. Hi Nick, Appreciate your feedback. As per your query, your going to the client place doesn’t count as supplying labor. Since you’re self employed, it’s absolutely fine to go to the client place and complete the work. Are you into technical writing? thanks for a very useful blog. I am also looking at setting up a sole proprietorship and am on a dependent pass. I checked with a legal firm and they said a DP holder cannot apply for sole priprietorship. Seems to be very confusing because on the ACRA website it says clearly DP holders can register. Can someone throw more light on clarifying this and also if I need a local sponsor or not? You can definitely setup Sole-Proprietorship on dependent pass. You can read through the comments in my blog who have received approval for Sole-Proprietorship on Dependent Pass. Thanks Abeesh for the quick response! Yes I did go through the conversation trails and was pretty sure this was possible till this consultant put some doubts in my mind. She mentioned she had called MOM twice and each time the helpdesk person said no not possible. I think the best way to move forward is to get onto the ACRA website and start the process myself, and see where it takes me. Hi just to follow up what Abeesh said I just did exactly this set up Sole-Proprietorship on a dependent pass and then applied for an LoC for myself. Thanks to the excellent blog and Abeesh’s help I am happy to say that I got approval yesterday approx 4 weeks after applying. Thanks so much for everything Abeesh your help has proved invaluable. You have helped so many people..some good Karma definitely coming your way. Could I ask you one question? – At the end there is a box which says: Authorized signature of Local Sponsor and Date. Should this be my husband as I am here on a DP? Or myself? Hi Rani, Thanks for your kind feedback. is this signature requirement on the LoC? I don’t think your husband has to put signature. I have spend over 4 hours searching and reading blogs, biz guides and Acra e-guides. I was a bit lost on how would I manage 50,000 paid up capital. Reading this blog, certainly gives me the confidence to move forward, and at least give a try. The only difference here is I am on a EP, and serving my notice period. Instead of searching for a job, i am setting up a online business to help Kids with special needs. Any ideas, how the process could be different. On EP, you cannot start sole-proprietorship. Are you married? If so, you can start the Sole-Proprietorship on the DP holder. I have some projects for my existing company, that I agreed I will complete them. One of the reason they didn’t cancel my EP. I can apply for DP, apply for LOC to work for myself, and then register a company as a sole proprietor. However, in that case should my existing company apply for LOC. You can call me at 82086393, need some clarification on your problem. First of all: many thanks for this great blog (post)! You are able to clarify a very misty topic: LOC’s and SP’s! I am following your proposed steps and I am wondering whether I should add an employment letter or a self-employment letter to the application form. On this point your advice is different then the advice I got from a HR consultant. There is a significant difference between those two letters according to the IRAS website. An employee has a salary and a self-employed person has the risks of losses. In my situation I am doing (pro bono!) free lance work and I registered a SP because I am developing an online survey tool (launch: beginning of 2015). So far, so good. But at this moment I have two requests for a paid free lance job. And looking at the requirements of MOM (you cannot have two LOC’s for 2 free lance jobs), an employment letter seems to be the best solution. But then I need to pay myself salary and pay for Medisave, etc. What are your thoughts about my situation? If you’re a Dependent pass holder and planning to have sole-proprietorship on your own, you must apply for self-employment. Yes, you can have only one LOC at a time. Hi there Abeesh, thanks for this very useful post. Is there a maximum or minimum wage allowance for those holding SP? Can’t find any info on the subject. Thanks for your feedback.You can put 1000 SGD or higher. There is no max and min wages defined anywhere. Thank you Abeesh and all others who posted on this site for their invaluable help and moral support. We submitted our full document (in total 30 pages – including short business plan, CV, diploma’s) to MoM on 16 Dec 2014 and received the LoC approval on 13 Jan 2015. It might have helped that we already had a signed contract from a first client and my wife got an employment some time ago for a short project she did. But for all you out there, if you have a good story and you are able to convince the MoM, LoC are still given to people with a dependence pass who want to be self-employed! Dear Abeesh and all other contributors, first of all thank you. Your blog and feedback has been extremely helpfull and clear. it really keeps me going knowing that it is do-able. I am in the middle of composing all the required information to submit to MOM for a LOC. I do like to start as a free lance Pilates instructor and i do have some (potential) clients already. I do struggle with 2 points and are hoping for your advise . 1. What I should cover in a self employment letter other than stating I will be employing myself in which position and the business name. 2. I do like to get your advise on the statement which i should write why EntrePass is not applicable. I do understand that since i am DP holder i can register a sole proprietorship and therefor can be self employed by submitting LOC to MoM. I am NOT starting a company therefor i do not require entre pass. Is this all I should write? I am flabergaster and soo pleased. You make me smile. I could not believe to find an answer to my question so fast and informative. There are many points in the process that one can feel uncertain about and it is great to get confirmation that you are on the right track. Dear Thomas, your help is endless! I’m in the beginning phases to apply for SP and Shriley’s situation is quite similar to mine. Shirley, did you get your approval from MoM? Thanks Yhomas for all the great help!! I was trying to find our bits of info fro so many places, till I came across this. Also, just wanted to know what should one write in the document to say why entrypass in not applicable? I have gone through all the post and they really give a lot of help. However I have a basic problem. I want to do customised cakes from home and am not sure if you need a licence for the same as it comes under production of food. So before I register I need to know if MOM does give LOC for such activities and what are the requirements. Wondering if anyone has experience to apply for re-issue of LOC because of expiration of LOC. Or because LOC was called because DP was renewed( cancelled and renewed). Can we apply for LOC online rather than sending hard copies to MOM and so getting approval faster. Any feedback or update is highly appreciated. If the LoC term has expired, then you need to submit a fresh LOC only. If the DP is cancelled and renewed, you will have submit the entire docs along with fresh LOC mentioned in the blog. Thanks for this website which helps a lot. Is everyone put CV, diplomas copy and DP copy with his letter of consent ?? Because it’s written nowhere to add it, right ? You can put any documents that will strengthen your application. The ones mentioned in the post are the essential ones. Hi quick question,how do we get around the issue of the local resident manager? I am here on a dependents pass and wish to teach classes for pregnant women. I have registered with biz and now about to do LOC but wonder when someone will ask me why I don’t have a locally reside t manager…. Hi, You don’t need a local manager if you’re residing in Singapore. Thank you Abeesh,the information online is so contradictory. Business stamp on its way so hopefully I can get going soon! Hi I have a question regarding registering with ACRA. I just followed the link for ‘registering a new business’ but I only had to pay (SGD15 ) and got a message that my application to ACRA has been accepted and will take 14 days to 2 months to process. My question: Do I need to wait for ACRA to register my business before I apply for my LOC to MOM? Also, how do I get my ACRA business profile? The 15 SGD is the name application fee. You need to register biz yourselves and pay 50 SGD additionally for the biz registration. Once you complete the registration, you will receive a notification to purchase the ACRA biz profile. You may do it later also. If you need help, call me at 82086393 to guide you through the process. Hi I am currently a LTVP+ holder married to a Singapore citizen here. So I do have my own Singpass too. Very interested to setup a sole propiertorship here, not sure if anyone knows whether it is possible as alot of discussions above are about DP, not LTVP+. Would like some advices on whether I also have to seek approval from MOM and etc for LOC.. Abit confused honestly. Thanks alot for all your kind information! The process for applying for Sole-Proprietorship is same for LTVP+ as DP. I am here on a dependant pass. Should this be my signature and date? Or my husbands? If my husband’s, then do I need to give him sort of position in my business? I just receive the information that the LOC has been rejected because I need to send an official company letter indicating the reasons why Entrepass is not applicable. I am artist designer and I sent to the MOM a file as soleproprietorship. Iam here on a dependant pass. I don’t know what I have to write…Could you help me, please? I have emailed you a sample letter. Hope you will get the approval. “I just receive the information that the LOC has been rejected because I need to send an official company letter indicating the reasons why Entrepass is not applicable. I have emailed you a sample template for the reason why entrepass is not applicable, hope that will help. I recently had my application rejected and I need to submit a business plan. Is a standard business plan available and what is acceptable? It’s first time I am hearing that the application got rejected because of lack of a business plan. Can you call me at 82086393 to discuss. Thank you so much for sharing these valuable informations. My wife is in DP and i am planning to setup a small business for her. Below are my doubts, It would be great if you could answer my queries. *) Currently she works as a software engineer with a LOC, After registering a company in ACRA, can she apply for LOC without cancelling the current one ? *) I am planning to set a retail shop in singapore, can it be done with sole Proprietorship rights ? *) If the answer to the above question is yes, I am planning to do a import of goods from india, can i get a import license with this sole Proprietorship rights ? I understand that a person cant hold LOC for both ( self employment & work ), but my doubt is, if she resigns by july, can the LOC approval for self employment can be submitted only after july or can she get the LOC approval before she resign’s her job ? Kindly let me know, the other 2 queries which i asked in my previous message. Yes, you can start a retail shop under Sole-proprietorship and as well apply for a export/import license. For food items, you will need additional approval. Thanks for the input, then i will start the process by june and will let you know the outcome. I am holding S pass now. I just resigned from my current job, and my last day of work will be 30th April 2015. Can i setup Sole-Proprietorship (self-employed) here in Singapore? Do i need to find a friend who is a Singaporean or PR? Sorry to inform, as per Ministry of Manpower, Sole Proprietorship is not possible for S-Pass holders. I have to find another job i think. I am thinking registering a sole proprietorship so I can do freelance job. I am on a DP. I currently live in a HDB (tenant). Since I would work from home, the address would be the HDB one. However, I do not want to put the address on my website. Do I have to ignored the point 6 or by “you want to use the HDB home address on your website”, you meant using the HDB address as the address of the buisiness? Oh I forgot. I do not think I will get contract regularly, maybe one every 3 months. So I will not get a salary every months. Do you think it may cause problem for the LoC? It’s not a problem if you’re not getting income regularly. I also forgot one thing. The company that I would do freelance job is a company that is not based in Singapore (at all). They are in Montreal. I do not know yet if would get paid here in Singapore or in Montreal. If I am getting paid in Montreal, do I have to create my buisiness here to be able to work on those contracts? Since you’re living in Singapore on DP, I think you will have to register your biz here. It doesn’t matter the client’s location. Yes, you can ignore point 6, if you don’t want to use the HDB address as the business address. As a DP holder, I would like to start a sole proprietorship to work as a freelance photographer here in Singapore. Looking back over the above posts, I note that there were a number of documents required to apply for the LOC, but looking at the current MOM Letter of Consent Application Form, none of these documents seem to be required. Do you know if the process has changed, or is there a special process for DPs seeking LOCs with Sole Proprietorships? Yes, since you’re being self employed through Sole Proprietorship, these documents are needed, otherwise it’s not possible to get approval as you can read the comments of the people who were denied approval due to lack of some documents. My appeal has been approved ! So my application for LoC has been granted (after more than 2 months of waiting ! You’ve made it so easy to understand how to submit for SP on a DP – thank you! I’m about to put together the documents required to support the LoC. I’ve seen that you’ve sent a sample template to assist with justifying why entrepass is not valid. It would be great appreciated if you’re able to email me a copy of this as well. Also – I have 2 projects confirmed. Is it sufficient to include the email confirming this work as supporting document or should I be checking if the client is able to provide an official letter? Just don’t want to hassle the client unless it is absolutely critical. Sure, I will send you the template. But you don’t need to submit the client project details to MoM as supporting document. I just wanted to let you know that I followed your instructions and received my LoC! Thank you so much for all the information – it’s such a brilliant resource. Many thanks for posting such an informative and helpful post – it has been invaluable in guiding us with our application. One quick query though, it says on the MOM website that you can submit your application online (which takes 7 days) or in hard copy (which takes several weeks). Do you know whether the online option can be used to reduce the application time or are there any disadvantages to doing this? Thanks Craig for your feedback. I am not sure application can be submitted online. May be you can try and let us know if you’re successful? The online application is for EA, not for Dependent pass holders. The offline processing will take 1-3 weeks. Thanks for all the inputs here. I have registered my SP, and putting together the LoC application. Will update the outcome. Thanks anyway, yes I will try later this week once I’ve gotten all my documents together and I’ll let you know how it goes. I am on DP in Singapore. I like to start my own photography business at my home. Can you please help me what are the steps I need to follow to do this. Follow the steps I mentioned in my blog to start a Sole-Proprietorship and network with individuals who will lead you to the potential customers. I am in the process of setting up my sole proprietorship. A little confused about the dates. When applying to ACRA , the date of business registration is the date on which I am applying. As a sole proprietor, should I be applying as manager and owner or only owner ? As manager and owner does the date of entry of manager need to be the same date as that of starting the business? You need to apply only as a Owner, i believe you’re on a DP in Singapore. If I understood correctly, the date of entry will be the date on which you applied for sole-proprietorship. It will be displayed on the business profile as Registration Date – use the same information. I have registered as manager/owner. should I change it to owner only? Will it be possible for you to send me some sample for self employment letter etc. I will advise, register as Owner only. Sure, I will send the template to your email. First of all, I wanted to thank you for all your advises and for your help on your website. It is very kind of you and extremely helpful. I have just registered my business as a Sole Propietorship for a consulting business and would like to know if you have on one side an example you could kindly send me of a self-employment letter and another one on how to explain why the entry pass is not applicable in this case? I have tried to search some valid ones on line but have not got them. Thanks Susana for your feedback. I have forwarded to your email. I’m also looking to get my application in early next week. I would be grateful if you could likewise forward the sample letters to me. Many thanks for all your help so far – much appreciated! You can call me on my cell 82086393, there might be some strong reason against your application..
Hi Rowan, Here is the link from ACRA for approval from Referral Authorities. Thank you so much for all the great help and tips you put together. What an awesome page. So glad I found it. I hope I have now all the knowledge and tools gathered to apply for my SP as a DP holder. Thanks for this post. This is a wonderful resource and really helpful. I am planning to submit my LOC application next week. I would be grateful if you could email me the sample letters as well. Also, as a SP, can I give myself any designation eg Creative Director or does it have to be Owner/SP? I have fwded the sample templates. Yes, you can have any designation. I haven’t received the sample letters. Could you resend them to mamegha@gmail.com? Sent again, check if it’s not in the spam/junk folder. Does work experience matters?u wife wants to start a sole proprietorship but she is fresh graduate. But she has a company who would like to hire her as freelance for web development, thanks. If your wife is on DP, that’s enough to request approval for Sole-Proprietorship from ACRA and MoM. 1. Do we need Owner’s signature? 2. If yes, did you ask your Owner to come to HDB Branch Office? 3. What if the Owner is overseas? Do I need to apply for Home Office before applying for LOC, need to include home office declaration in LOC documents?? Or I can get LOC first and later apply for Home Office approval? I would appreciate if you can please send me the sample letters, thanks a lot. You can apply for Home Office scheme after approval from MoM. I have sent the samples to your email. Yes, you need Owner’s signature and NRIC number, but owner need not come HDB branch office. If the owner is overseas, get the signature on the paper, and ask him to send you the scanned copy or fax copy. You can explain to the HDB branch officer, that the owner is overseas, so you’re submitting the scanned/fax copy. I am please to let you know, I summited the business plan as an appeal process and my application is now approved! Thank you so much for all your help it is most appreciated. I would like your advice also 😉 I m on a LTVP pass under my common law spouse (EP holder). I have a client that is ready to pay me as a consultant for at leat 6 months but does not want to hire me under EP. Can I set up a sole proprietorship under my husband and put me as local manager ? Do you think I will be able to get a LOC ? Thanks! Thanks Abeesh (and everyone!) for this helpful forum. I have registered SP with ACRA last week and I am planning to submit my LOC application during following weeks. Also, does anyone know if the business plan is required? If yes, would you please share the template you used for a BP? Some may need business plan, for example, sports coach, others may not. I didn’t submit a biz plan to MoM. Hope somebody in this list can fwd you. Company stamp – basic information is sufficient – biz name, address, email id, registration number, phone number. I am currently on EP and will go on DP by Mid June (I have resigned from my current Job ). The reason I resigned is because I want to start my own work in Singapore, which deals in bringing celebrities to SG… and I have no other partners for the company and i dont intend to at this stage. What I have read and heard is to start a company you need PR/ citizen on board as partners. Plan B is, as I will be on DP, then I start a sole proprietorship. Then the BIG question comes is how do I legally work in my own company? –	Aacra says I need a local manager? Do I need one as I already reside in the country? – How the LOC part work in this case? MOM is too tough to get through via landline? Do you suggest going there? If yes then which office MOM is ideal for such queries? One needs to take appointment? Any recommendation on company which helps me in setting up and LOC documentation sorted? When you apply to MoM for approval after registering the sole-proprietorship with ACRA, you’re basically requesting for self-employment. Thank you for sharing your no. Would really like to chat with you. Just cannot get through your mobile no. Anywhere else can i please call you? Great post! probably the only one around. Can you help send across sample templates. Hoping to seal this soon. Thanks!! I just discovered your blog after wanting to check if a person can register for 2 Separate businesses ( sole proprietorship) under the same owner, and was wondering what does paid up capital under SP meant . I supposed to can be $1 base on your response. So going thru your replies and queries , I am very impressed and appreciate there is a guy that is so helpful. Thank you. My question is this: as a DP holder I am interested in setting up a sole proprietorship. However my skills are in two areas. These are Web development and personal training. Is it possible to set up an entity with two such diverse activities? You can stick to one of the activities, easier to get approval. Is the personal training related to web development? Hi Abeesh, unfortunately the personal training is of a fitness nature. Doing just one probably won’t earn me enough but I want to combine the two as they are both my strengths that I can freelance as. I will advise, stick to one activity for the approval. Thanks so much for your excellent post and everyone else’s comments too. I got my LoC to be a freelance writer in under 3 weeks from submission. thanks u so much dear Sir! I refer this page to my friend and he got approval from Mom. waiting more business tips from your side. Iam planning to send letter of consent to the MOM. 1. Which method you suggest online method or mail method . 2. Please send me the samples of the documents that are required as mentioned by you. I have sent you an email for the sample templates. Thanks to you for the great help. Received the sample templates. Soon will submit the LOC and let you know the result. I had got my LOC in January and have been operating as a sole proprietor. Do we need to have a CPF number as a sole proprietor? As discussed on the phone, here is the link for the home office scheme. Your post is great and very-very useful! Are all of these documents mandatory for providing to MOM or I can skip anything? Do I need to create a business logo and stamp? How can I do it? By using any e-service? If yes, please, provide me links. For sending documents to MOM which e-mail address should I use? Could you sent me e-mail address or link to form for sending all of these documents. With million thanks for your post, answers and help!!! Thomas my wife got loc approved. Took around 3 weeks. Thanks for all the help. Does she need to open a business bank account? Or open a personal account Will also do? Any advice on which bank is best for sole proprietors will be of much help. Thanks again. Cheers! Congrats! Normal savings account in her name will do. That’s good if savings account can be used. So the cheque should be issued in her name? When we file for tax just file as individual income tax? thanks a lot again. Yes, either a cheque or bank transfer. You will receive the notification to file tax by IRAS. Wow that makes it more easy. It’s same as the way ppl like me on EP pay tax. Thanks a lot. I just got my business registration certificate done as sole prop. Can you send me a link to download loc form and sample docs needed to apply for loc! I just got my business registration certificate done as sole prop. Can you send me a link to download latest loc form and sample docs needed to apply for loc! What I hear now from the people are that LOC form cannot be downloaded from the MoM website, you will have to log in to the EP online and apply for LOC, but it seems like people are facing issues in getting the LoC form. Would like to hear from the readers how they solved this problem. Many people are facing the same problem. Will advise to email MoM or call them up to get the LoC form. I called MOM and they are saying that after 01st June 2015, You need to hire Employment agency for applying LOC if you are employing urself in the sole prop. From now onwards no offline application is allowed for applying LOC. That’s a strange rule ! Does anyone know if such an EA exists to handle the LOC submission, especially in the case of a DP sole proprietorship? Or is there an affordable service for helping with the whole process? Most online companies are quoting in the thousands to do a simple sole proprietorship setup. But what I know is there is no LoC application from EP Online, so not sure how Employment Agencies can assist. Hi….I think they mean that you can only access the form if you have an EP and hence they are saying you must go through an Employment Agency. However I have called a few and they are so clueless! They have no idea about the requirements for a Sole Prop. Do share if anyone can find a solution to this problem. Iam happy that my loc is approved through online. The MoM has guided me in this. Thanks for everything. Congratulations! Can you share your experience for the benefit of the Readers, how the MoM guided you? Sure. The MoM Will ask to write an email that why an Loc is required. After that it will respond by saying that an employment agent should be chosen to apply the loc through online. After that the agent will let us know about the approval. One can call MoM to know the procedure as well. They will guide by giving the email I’d. Could you let me know which Agent you used. MoM has given me this information but not a list of agents to be used. Can you please share the name, contact and charges of the agent you applied with? Thanks for your help. I don’t think there will be any complications. You can send the letter about the termination. And apply for a fresh LoC on your mom’s name for the SP. I have submitted my application for LOC to one EA and he is saying that your business is not yet updated in MOM list and it will take some more time. Is it possible that business registered on 18th june in ACRA is still not notified with MOM,Is there is a procedure involve in it? I am not sure on that, earlier there was no such thing, but in the new approval process, it might be possible. Someone I spoke to did tell me that it takes a while for Acra to connect with MOM but this seems rather long. Maybe you can write to MoM with the details of the company you set up with Acra? Would you mind sharing with me the EA you are using as I am really lost. All the ones online are charging a bomb. Hello Jitin, I am also planning to apply for a LOC for my sole proprietorship business. can you please confirm if everyone now needs to go through an EA only and also if you can please share the name, contact details and charges of the EA you are using. I tried calling a few of them but they are clueless about the process. Thanks for your help. Thanks Abeesh Thomas for having this blog online. It is very helpful! The agent will write a letter on behalf of us by taking charges to the MOM to find the business data and it will take two three days for the MOM to find it. Agency can guide us also to write a letter on our own. I got my loc today! all those who have shared there views and experiences in this blog. I got my LOC today! The agency you recommended above was fabulous and Mr. Hender was very professional. Just wanted to share some knowledge….I noticed above that someone named Steve had asked if you could have two different activities when setting up a Sole Proprietorship. In fact you can. I have registered myself as a filmmaker and a Yoga teacher. I thought I should share this incase anyone else had a doubt. Congratulations and thanks for sharing the information. I believe it will be helpful to the readers. A bit off topic, but I’m giving it a try anyway because your post was the most intelligible I found when considering setting up a sole proprietorship! I’m a foreigner on a DP and have recently received my LOC, sponsored by a small, local company. I’m an ‘associate’ and will only be paid on an hourly basis, depending on projects/clients. However, in the LOC form one had to put in an amount for basic monthly salary and/or fixed monthly allowances. Enquiry with MoM at the time learned, that the lower the amount the less likely the LOC would be granted, so we made up a figure that reflected a similar job in the market. Now the projects aren’t coming in, and the local company cannot meet the monthly salary payment. They are worried that an inspector might question and penalise at the end of the year, when it turns out from the accounts that the company hasn’t fullfilled their initial statement on the LOC application form about the salary payments. Do you have any idea whether the company would be at risk, and suggestions how to overcome this? I am not sure whether company would be at risk if they are not able to pay the promised salary. Personally, I think it would only be so if an employee complains. You may check with some consultant or email MoM. Thanks for your prompt reply, Abeesh! My AE (recommended above and really professional) wasn’t able to submit for a LOC this morning. We thought it was because my business profile wasn’t in the MOM system although ACRA approved it on the 02/07/15. So I called MOM this morning and apparently I need to ask directly for a LOC MANUAL FORM by email (mom_wpd@mom.gov.sg), and if approved then it would take 1 to 3 business days to receive it by mail. I am very surprised of this procedure since they just changed it to an online procedure last June. Am I the only one in this situation? Are there some people who were able to submit their LOC through an agent this week? Hope somebody can provide the feedback. Thank you Abeesh for all the helpful information. Has anyone being able to confirm the new process for obtaining the LOC form? Do we have to engage an EA to do so or should we email MOM ourselves to get the application form? Hi Abeesh, thanks a lot for the above informations. I have few questions. 1) can a dependent pass holder get sole proprietorship. 2) Can i get involve in any local business. 3) Basically i m planning for an Indian grocery & later planning to enter in Import / export. Do u think i can do these business on sole proprietorship or I need to form a company? 4) What are the chances of approval for a Entre pass ? 5) Can i take any existing business after i get Sole proprietorship ? Or it has to be a new business? 6) Can i become partner in any local business if I have sole proprietorship? Hi Sayed, Here is my response to your queries. I have answered those I am aware about. Hope somebody else can respond to your unanswered queries. 3. You can do under sole proprietorship. 4. Entrepass not possible for DP holders. First of all, thanks so much Abeesh for the very useful information! 🙂 Really appreciate it. Feeling so lost about this whole SP thing. My hubby will be working in Singapore soon on an S-Pass and I will be going over with him on a DP. I’m already offering freelance translation services to Singaporean companies in Malaysia (by setting up an SP here) and I would like to set up a SP in Singapore. I will be working from home, will be self-employed, offering my services to Singaporeans and overseas clients. Does this mean that I shouldn’t apply for an SP in my case? Thank you so much. Silly me! My hubby will be going over on an EP and not an S-Pass. Kindly delete my question above. Thanks so much for the information all the same. Thank you for the useful information. Is it mandatory to open a corporate bank account which is linked to my registered business or can I use my private DBS account instead? Hi Richard, You can use your personal account. Sure if you’re on DP (spouse – EP), you can apply for sole-proprietorship, follow the procedure mentioned in my blog. Hi Abeesh, thanks for the info, very useful. Just one question, if the DP already has a LOC and wants to set up a sole proprietorship, will they lose their LOC? I.E can a DP work somewhere as an employer AND be a sole proprietor? Thanks! Yes, you can. One of the Reader’s mentioned you can have sole-proprietorship, provided you submit a No objection letter from your employer when you apply to MoM for Sole Proprietorship. Thank you Abeesh for a very useful blog and also the comments. My wife on DP is an writer and editor and would like to work for local firms as a freelancer. I went thru the recommendations above and seems its a must to form a SP and get a LoC. I called up MoM and they advised there is no need to form a SP if working with multiple clients as LoC can only be with one! So, how would this single LoC thing work if she has to work with multiple firms as its the very nature of the freelancing work? Thanks in advance. The LoC is to work for her own biz and it’s not tied with customers. 2. I could not find a code of Business Activity for ‘writing’ or ‘editing’ or ‘e-learning’. I am sure I am using the wrong keywords as these should be listed for sure. 4. Have You Obtained Approval From Other Authorities?. Should we mention No? As MoM approval is still pending? 1. You cannot append Pte Ltd and SP is not a company. 2. I think you can use the SSIC code 74192 ART AND GRAPHIC DESIGN SERVICES. Writing is an art. 3. Any date is fine. 4. You need approval from other authorities if your biz needs a license, e.g. export/import/food. First register your biz with ACRA, then submit LOC to MoM along with supporting docs including the biz profile. This is the response I recd from MoM when I asked for a manual LoC form to work on a freelance basis for a DP holder. Generally, Letter Of Consent (LOC) holder can only work for the company who applied the LOC for him/her and at the premise declared in the approved application. They should not be working at multiple premises or premises without notifying MOM. As such, an LOC holder can only be engaged based on company to client and vice-versa. In this situation how would one qualify to work for multiple clients on a freelance basis? I think there is some misunderstanding. When you apply for LOC, your wife is working for her own biz. The clients are your customers. Call me at 82086393 for clarification. Had requested for 3 years, but the validity is tied to the DP validity. Thanks for helping peoples in their start-up’s. Great job!! Is it required to get business (SP) registered with ACRA before applying for LOC from MOM. I mean, if I share my business plan with MOM and get their approval and then after I will register SP with ACRA. You have to first register your biz with ACRA and then seek approval from MoM. Follow the steps I mentioned in the blog. Thanks very much for your detailed explanation, Abeesh. Really appreciate it. DP holders usually have to set up a joint account with the EP holder. Would it be OK for Singaporean clients to bank in the funds into the said joint account which the DP shares with the EP? I think it should be fine but you can email ACRA to confirm. My wife (DP) has her own account with DBS and it’s not a joint account with me. Thanks Abeesh. After my LoC is approved, I shall be applying for the Maybank FlexiBiz account. It seems to be the only one in the market that doesn’t require a minimum balance (other banks require DP holders to have a minimum balance of SGD 3k at any given time). If your spouse is on EP and you on DP, then you can follow the instructions I mentioned in the blog. Thanks a bunch for the immediate response. Can you please let me know what has to be mentioned in reasons for why entry pass isn’t needed. Hi,thanks for your information.my wife is planning to open saree business it’s come under sole proprietorship business right and also my house is condo .where to get approval.what are all the documents needed.and sole proprietorship kind of businesses.we can give advertising,brouches and all.pls let me know. Thank you for all your advises and for your help on your website. I have just registered my business as a Sole Propietorship and would like to know if you have on one side an example you could kindly send me of a self-employment letter please? I have emailed you the samples. I have applied for LTVP through my daughter who is a SPR.Can I start a self employed Manufacturing consultant business .Should I have to get LOC for that. First of all, THANK YOU SO MUCH!!! I had been struggling in the process of starting up Sole Proprietorship. My eyes were wide opened when I found this blog!! You and reader’s posts are very helpful! So I would like to share my updated information for future readers. I have submitted necessary documents via post to MOM. Then I remember that Abeesh recommended an agent, Mr. Hender. I contacted him and sent my business profile from ACRA with a hope. What I needed to apply LOC at Mr. Hender’s agent are an Agent fee at $267.5($250+GST) and my business profile, that’s all! As per Mr. Hender, since 2015 June MOM no longer accept manual LOC application form. However when I asked LOC form to MOM in Nov, they sent me the manual form. so wired. Anyway, I am still waiting the result. Could you already find out if MOM really not accept manual LOC application form anymore? They do accept manual LOC application. First of all, thank you Abeesh for sharing all the great information. I want to set up a Sole Proprietorship with two different activities (Yoga Teacher and Graphic Designer). I noticed that someone named Rani wrote that in fact you can do this. I am just not sure about two things. Maybe People who applied for a Sole Proprietorship with two different activities can help me to answer my questions. As a sole proprietorship is a business activity that operates under your personal name does my business name, I have to register with ACRA, have to be my personal name (especially as I work as a freelancer) or can it also be a fictive name witch covers both activities (Yoga and Graphic Design)? If I register my business with my personal name can I still have a bit different name for my logo (for e.g. just first name and then something with yoga and design) or does the Logo have to to include my exact personal name? Can I also have two logos one for Yoga Teacher and one for graphic designer which include for e.g. my first name because I have two different webpages and business cards for both activities? Do I need to write two LOCs as I have two activities or just one. I am really confused what the best way is to do this. What should the stamp include? Just ACRA registration number and company name? Does the address have to be on the stamp? Does the logo has to be on the the stamp? Here is my feedback for your questions. 1.Biz name can be any name that’s unique – nobody else has registered with that name with ACRA. 2. No restriction on logo design for registering with ACRA. 3. You can submit only one LOC, but not sure if you can combine 2 activities into a single LOC, might be possible I think. 4. A corporate stamp can have any of these – Biz name, Tel No, Email address, ACRA reg number, etc. Logo and address need not be on the stamp, they are optional. Thanks for all your help regarding sole proprietorships and LOCs. I have set up my sole proprietorship and emailed MOM to ask whether I need to go through an EA to get the LOC. 4) The attached undertaking letter, signed by you. So it looks like I can do everything manually, without an EA. Do you recommend taking in all the forms in person to the MOM rather than posting them? Another question – what should I write on the LOC application form under “Value of Turnover of the Company in the past 3 years”? Just N/A? You can send the application via post to the MoM address. The value of Turnover, you may put zero if there is none. I have sent you the sample template for the reason you are not applying for EntrePass. Hope this helps. I was able to log into the MOM EP Online site with my SingPass. Does that mean I could apply for the LOC myself online? I don’t think there is LoC application online although you can log into MoM EP online site. You need to request the MoM to email you the LoC application. Hi, I have another question. In the LOC form section where it says “address where duties are to be performed”, should I put my residential address (which is where the sole proprietorship has been registered) or the actual address where I will be conducting business? Just worried that if they see 2 different addresses they might not approve. You may enter the actual address where you will be conducting the biz, but I think in the majority of cases, people put the residential address. Your blog has been a great eye opener to the work involved for getting an LoC. our business is a personal trainer (my husband) as I am on an EP. We are applying this week for the LoC. Please can you send me the entrepass template as it appears we do not need to use an agent after all to make a manual application. Although it is not that clear from MoM if that is true or not. Thanks again on your great blog. I have joined yourfacebook page too. Thaks a lot for taking the time to post such useful information. From the comments towards the end, it seems that MOM is still accepting manual LOC applications via mail. Were you able to confirm if this is still the case or not? Also, can you kindly send me the letter templates for the supporting document you mentioned. Yes, MOM accepts LOC application via post. I will email you the supporting documents. Thank you for an amazing and informative blog and thanks to all the readers too. This is a great resource for so many of us. I have some questions, after your response on email to my queries, I have registered my business name and business with ACRA. Now I need to write to MOM to ask for LOC form. 1. From the above posts, I couldn’t find, what should I actually write in that email. Should I send them the biz profile, give them a background of the business, attach any other docs?do you have any format? Your guide has been extremely helpful and has sustained through recent years. For my end, I just need to clarify with you on the LoC form. Regarding the “address where duties are to be performed” if the business is purely online and activities are done onsite at client side and outdoors, what would be the ideal to write for this? Should I put down the mailing address instead? Thanks. I think you can put your residential address in the LoC. Hope some of the readers will provide you the feedback too. This is a different question hope you can help me on this. Is ltvp can be a partner of a pr who will register a business partnership? Should the ltvp have to get a loc? Do we need to go through EA for the process? Can you mail me the supporting documents for applying. Nope, you don’t need to go through an agent for applying Sole-Proprietorship. I will email you the forms. Thank you Abeesh for all these information. Very usefull website ! Could you please also email me the forms for appliying to sole-proprietorship?! Thak you! As long as you have income only through Sole-Proprietorship, you need to file only a single return. I am planning to work as freelance tutor with tuition agencies and also Teacher in school. Can we work in school as Teacher using this LOC? I am unable to get any information on the same. Should I give my residential address as my business address since I will working at different location? Do we need EA for filing LOC? One of the readers suggested you can have your biz and work for a different company or school, provided you submit a no-objection letter from the employer. I think it will be better you give the address where you will be providing the tuition services. You don’t need an EA for filling LOC. do you think the LOC will be valid by MOM , because agency are professional firm in Singapore? Hi Tom, You can take the help of Agency, but it’s not needed, you can do yourselves. You can follow the instructions in the blog. You can take the help of EA, but it’s not needed. You can do it yourself by following the steps in the blog. Thank you for this highly informational blog post and taking time out fro replying to the comments. I am looking at setting up a SP, I am already on a LOC with another company, so I guess that the existing LOC will need to be surrendered and a new one will need to be applied for the SP. Could you please share the templates and formats that you have been sharing with people, so that I can get all the documents in order. can you also email me the supporting documents for LOC? Do I need to download an application form for letter of concent at MOM webpage? I tried but I didn’t find where I can download the application from. Emailed you. You need to request the MoM to send you the LoC from the MoM website. Thanks to everyone who is contributing to this post. I am also on a DP and want to set up SP. I have approached a couple of companies in the past few days who say they can do the registration on your behalf, all of them have said that I cannot set up SP without appointing a local manager. This isn’t consistent with the advice on the ACRA website and doesn’t seem consistent with the posts above but I was wondering if the rules have changed? I have just applied for Singpass and waiting for my password to come through. I’m thinking maybe I should just try and follow the process myself and hope for the best. Abeesh – I notice you have emailed templates of the required documents to some of the other people in this thread. I was wondering if you would be so kind as to do the same for me? The rules have not changed; it’s just the some people are ignorant. You can have an SP under DP. Will email you the sample templates. We followed your recommendations and sadly we got a rejection for my husbands LOC. The letter says ‘The candidate is not eligible to apply for a Letter of Consent”. Any ideas what we can do? Our passes (my EP and his DP) expire in July 2016 and we will be issued with a one year pass. Should we wait until we have our new passes issued and try again or should we appeal? Any suggestions would be fab. I think it’s better to call up the MoM and ask for the reason. Did you submit the biz plan for sports training? Hi Abeesh, thank you so much for this very helpful post. Would I also be able to ask for a copy of the sample templates? Thank you for this highly informational blog. I am currently residing in private property and it seems my house owner is not ready to provide written consent for home office. After checking several websites for alternatives, I was thinking to opt for virtual/service office option so that I can refer that address as business address while applying for SP. Kindly advice whether virtual/service office address is acceptable for SP application. I have used a private firm for address.There are many online with different rates. They charge a fee for using their address as your business’ registered address. You have to sign a contract with them. I still have to mail my LOC forms. I believe this address should be acceptable. Will keep you posted. I submitted to ACRA for approval for my business name, how long does this normally take? I assume I need to wait for the name to be approved before I can complete the registration. Just wondering what others have experienced in timeline for this. I think it’s instant, hope somebody can share their experience otherwise. I just registered a company 2 days ago and it was done instantly. Rub registering as a sole proprietor? It boogies you instantly of the name is available. If u haven’t heard from them, you may want to all and soak to a representative from ACRA. thanks- I got an email this morning from ACRA saying the name was approved, now just waiting for the system to update so that I can complete the business registration part and then onto LOC… I wonder if I was just unlucky, the name was available so not sure why it was referred, perhaps they just do that for a certain % for compliance reasons… who knows. Really informative article and comments. Thank you so much Abeesh for the post. Can you kindly also email me the required SP and LOC registration samples/templates that you have? Thanks. Thank you so much for such an informative post – I have successfully registered my business and have the forms from the MOM for my LOC. I was wondering if you would be able to send me the sample template for the reason I’m not applying for EntrePass and a sample business plan template. Thanks once again and keep your fingers crossed for me! Sure, I have emailed you the templates. Thank you so much Abeesh for the post. Can you kindly also email me the required SP and LOC registration samples/templates that you have? If i am PR and would like to setup sole proprietor, the step is same as DP you mention above? You are such a blessing Abeesh! Got an approval for my LOC in under 4 weeks. I am a DP holder and have registered my own SP for providing freelance transcription services. I am in the process of applying to MoM for the LOC and am following the steps as suggested by you to the tee. Request you to please send me draft formats of business plan and self employment letter. thanks for your feedback ..I have emailed you the templates. First of all, thanks a lot on sharing these information here as its like seeing a light at the end of the tunnels. I will be helping my wife to apply for the sole proprietorship so that she can start on her blog activities. Would be very much appreciate if you can helps to send me the necessity templates I am just about to start from zero and seems there will be a lot of works ahead. I think we shouldn’t complain about it as you have put down a lot here to make things much easier for us vs when you had to try it on your own. Thanks again for all these useful sharing. thank you for sharing all this valuable information. I’ve been able to register my business with ACRA and now I need to apply for the letter of consent. Can you also email me the supporting documents for LOC? I would be very grateful. Are there any requirements for the company chop? Do I need to include the address or is it enough if I place only the company name and registration number? Hi Abeesh, I just wanted to say a massive thank you for this blog and for helping me out with the documentation. I successfully set up my sole proprietorship and received my LOC last week. Your blog has been very helpful in understanding the process for company registration for a DP/LTVP partner. I am a Singapore PR and I have registered a company with my LTVP holder wife who is registered as an Owner. Now, I am contacting MOM for the LOC for my wife. Can I request you to share some of the document templates which were used for the LOC approval process. This would be very helpful! Thank you once again for an extremely helpful blog. One correction here- I just registered the name of the business.As my next post below says, I was not able to complete the registration online. Just wanted to update about my wife, a LTVP holder (Spouse of Singapore PR) who wished to register a sole proprietorship with me as the authorised representative and she as the owner. The ACRA website does not let me register this business as some endorsement is required as my Wife is a foreigner. Since LTVP holders cannot have Singpass (LTVP+ and DP holders can), they need this endorsement . I checked with Acra and they asked me to take the help of a Corporate Service Provider but CSPs were not helpful too. I am going to anyway proceed with contacting MOM for the necessary approvals. There is a Chicken n Egg situation here. ACRA (on its wesite) advises to get all the necessary approvals from MOM before SP registration if a foreigner owner is staying in Singapore while MOM’s LOC process apparently needs the company to be registered already so that LOC can be applied! In your case, I will advise, to register the biz as a partnership, between you and your wife. Since you’re a PR, you can register in your name and your wife can employed in your biz. Bad news from me. I submitted my loc with all of the required documents and received a rejection today. No reason given. Don’t quit, keep trying, chase the MoM for the reason. I got a reason – they said that not meeting the criteria for applying for Entrepass is not a valid reason for applying for an LOC…. Hope somebody can feedback their experience. You can resubmit and state that the reason that you want to be self-employed, working for your own biz. In order to be self-employed, you need approval from MoM, that’s the reason you’re applying for LoC. Dear Abeesh, can you please email me the templates for the documents required to obtain LOC from MOM? Do I understand correctly that the rules changed and now only agencies can apply for LOC? Or can I still do it myself? You can apply yourself without the help from Agency. I will email you templates. do I need an approval from my landlord to have a home office in my apartment? I stay in a condo. And which venue would you suggest me filling in the job location form if I’m specializing in outdoor photo-shootings and shootings at client’s houses? You can give the house address for the job location. But You will need to register with URA or HDB after getting approval from MoM. Thank you very much for sharing your experiences and putting step-by-step procedures about how to register a sole proprietorship in Singapore. This blog post and all the comments listed here are the main source for me and my wife to run her own business. We really appreciate all of your efforts and dedicated support over the last few years! We just finished registering the business name, obtained registration number, and requested an LOC for self-employment from MoM. We’d greatly appreciate if you could forward templates for 5.D. Reason why EntrePass is not applicable and 5.F. Self-employment Letter. Thanks a bunch in advance for your help on this. I also wanted to share with you a message from MoM I saw on EPOL. I’m not exactly sure how this would affect our applications. Do you think this is only applicable for those who need an LOC from their employer, but not for sole proprietorship owners? 1. Print the LOC declaration form at the confirmation page. 3. Scan and upload the completed form. Remember, the LOC candidate, employing company and employment agency (if applicable) must complete and sign the form. Otherwise, we will not be able to process the application. I think this is for hiring a dependent pass holder. It’s not applicable for SP. Hope somebody can feedback too. Hi Abeesh, I was reading your blogs. Your advises are spot on and benefit so many ppl here. I would to seek your advise on immigration matter. can share me your email address pls? Thanks. After my rejection from my postal application (I was told that ‘not meeting criteria for Entrée pass was not an acceptable reason for starting a business), I was given the details of an agency that a fellow coach who is DP uses. We met and reworded the reason for not applying for Entre pass to make it more about why sole prop was an appropriate choice for my business. The agency submitted for me online and I got a response after a few days. I now have my LOC. Great to hear that…Congrats ! Hi Evelyn, Can I ask, was this an appeal? What supporting docs did you submit? Wow you got approval in a few days that’s great. My EA is telling me it’s going to take 4-6 weeks. Any tips? Very useful post indeed. Thanks. I have a problem myself – I tried to go through most of the comments to see if anyone got blocked at step 3 itself, but couldn’t anything specific. MOM keeps telling us that LOC is only applicable to dependent pass holders who have a job offer (and self-employed should go via entrepass). They won’t even send us the application form it seems. Thank you for this extremely informational blog. I have registered SP and looking forward to apply for LOC. Could you please share the templates and formats that could be useful for me. I found that recently MOM has requested applicant to upload LOC Declaration prior to apply LOC. How can I find LOC declaration forms ? I can’t find in MOM website. Based on the feedback from Readers, DP holders who are applying sole-proprietorship for the first time, are not allowed to start. The only way is through EntrePass. See this link for more details: http://www.mom.gov.sg/passes-and-permits/entrepass. The DP holders with existing SP are allowed to continue and renew SP. You are awesome, I am yet to come across someone as committed and devoted to painstakingly reply to every thread on their blog. Surely you are helping touch upon many people’s lives Thank you. Just wanted to confirm upon what you said here, as the link you posted takes one to EP section. Has the process for granting number of SP’s gradually reduced or is there is no longer an SP route for DP’s please. If there is a chance for getting LOC request you to please share the sample documents from your side please. Hi Shweta, Thank you for your feedback. Yes the rules have changed recently. DP holders will have to apply for Entre Pass to start SP. Hi Abeesh, thanks for all your info – I have found it very helpful as there is not a lot of correct info out there on this topic and I feel I’m being misguided. I have heard MOM are now approving some cases of DP’s with SP applying for LOC and some they are saying need an EntrePass. In my case, I’m on a DP – I would like to register a business for invoicing purposes only (looking at starting some short term contract work for a Singapore registered company that need to be invoiced every month) The EntrePass is not needed- I’m not an Entrepreneur, I am not hiring anyone, selling anything etc surely there is a way for this with MOM? Or maybe there is a service in Singapore offering to process invoices/payroll? Would you or does anyone happen to know? Hi BJ, As far as I know, DP holders will have to apply for EntrePass for SP. This rule is in effect from May/June 2016. But if you can persuade MoM to issue LOC for SP, that’s great. You can give a try ! I am in the same kind of situation of you. I would like to know how is going for you? Did you have another step closer to your purpose? Abeesh Thomas, I’m also pretty amazed by all your following up, thank you! Dear Thomas, when I approached MOM to obtain approval to commence my sole proprietorship business operations, they asked me to apply for Entrepass. Based on what you have mentioned in your blog above, the rules seem to have changed from June 2016. I am awaiting MOM to clarify if that is the case. Besides that, looking at the Entrepass criteria, it seems that it is very difficult to fulfill some of the criteria like funding from VC, govt etc. Do you have an idea how these criteria can be fulfilled? Many thanks in advance. Hi Jagan, yes, the rules have changed since 2016. You will need to apply for an Entrepass or liaise with a PR. Check this link: http://www.mom.gov.sg/passes-and-permits/entrepass or you can check with an EA. Thank you Thomas. Will do accordingly. My wife had an loc previously. But we did not renew it before expiry? I think she would need to reapply afresh for loc. Can we do it through EP online? Based on comments above seems the process is changed? Please let me know thanks. I don’t think you can apply for LOC online. MoM should have sent you the LOC form before expiry else you need to request from MoM. Yes they had sent renewal forms, but my wife did not renew then, as we were not sure of staying in Singapore. But my EP is renewed now, Can she renew loc now? Thanks. You can try the LOC form sent by MoM. Since your EP is renewed I think you will have to perform steps 4-6 again. Thanks. I will try with the renewal forms MOM had sent, thanks. Great, let us know the outcome. My wife’s renewal got rejected, because it had expired. MOM posted back application to reapply online. Is it possible to apply online? I have emailed you the link to register your biz for EPOL. If you already have that registered, you can apply for LOC online otherwise, you can give a try by registering. Hi quick question. I am a DP holder and want to setup a sole proprietorship. However MOM tells me that there is no more provision for SP company for a DP holder anymore. Only private limited companies with 50000 paid up capital (thru a govt funding or VC) can apply for entre pass and thus get approval to begin company. I dont want to get VC funding. Is there a way out? Separately my friend, another DP holder was able to still apply to ACRA and register her company as of last week. How come she was able to do this? ACRA would have asked for MOM approval right? and if the MOM did provide approval it means that they are still allowing for SP to be set up. But I called them again this morning and they repeated the bit about the entre pass etc. What should i do? Hi Audrey, Same thing happened with me as well. I applied for SP in June 2016 and got rejection in end of Aug 2016. Also received same reply from MOM. Looking at Entre pass requirements, it really seems difficult to apply for Entre pass for small home based business. Please let me know if you got any updates/solution for this problem. Thanks in advance. I have the same query. Dp wanting to set up SP and don’t fit the criteria for entrepass. How did you go about it in the end? My wife’s LoC was approved and linked to my EP, and she got a 9 months approval last year. LoC renewal form was sent on EP renewal but the MoM has declined to renew it saying apply for EntrePass. We feel that is not an easy/ viable option for a small home based freelancing writing assignment which is run by a single person. Thanks for your support & coperation in this regard. I m helping my friend to ask a few questions on Long Term pass holder. She (Vietnamese) married to Singaporean man and holds a Long Term Pass. She works in a retails shop, registered under her Singaporean husband. The retails shop was fully funded by herself when they set up this business. Currently, they are filing for divorce and she wants to take over the business after divorce. Is that possible? Kindly advise and what are her options. Tks. I doubt if she can continue her biz after divorce if the biz is registered under the Singaporean husband. Hope somebody can answer your query. I am myself trying to apply for LOC. Do you mind sharing the sample documents from your side please. Has anybody applied for a Loc recently and got approval? It used to be pretty quick I remember (1-2) days, but my wife’s application been pending for over 2 weeks now, with a note saying ‘waitibg for vetting’ on the MoM website. They haven’t asked for ay documents or clarifications, so not sure what’s being vetted. Does anyone have similar experience and know what it means? Since Aug 2016, DP holders of EP cannot start SP on their own. But you can appoint a Singapore PR as a representative of your biz.